KnocKnocK Technologies Asia Pte. 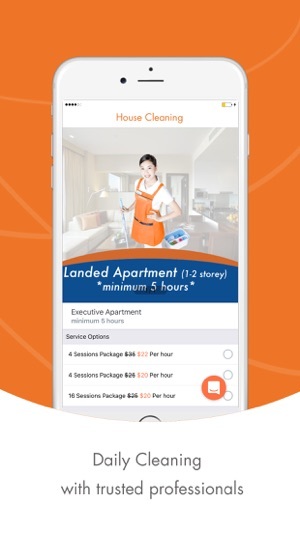 Ltd.
- Laundry & Dry-cleaning services To Your Door: Serving over 50,000 families in Singapore, KnocknocK is Singapore’s No. 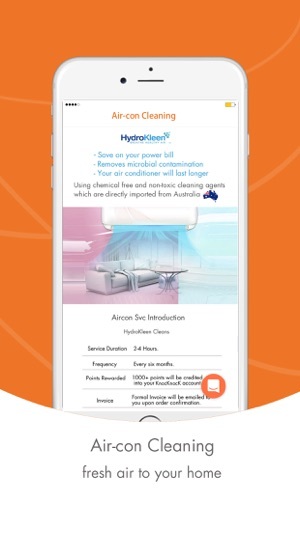 1 Dry-Cleaning & Laundry services App. - House & Office Cleaning: A simple, affordable and convenient way to keep your home and office clean. - Upholstery Cleaning: Professional Mattress cleaning, sofa cleaning, carpet cleaning. - Air-con cleaning services: Fresh Air to your family. 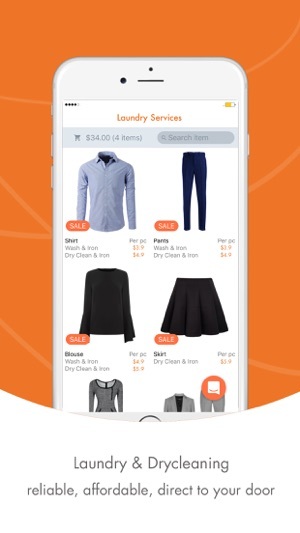 In lesser than 20 seconds, You’ll be able to place a laundry via the app or website. Our well trained woodpecker (Delivery person) will come to your doorstep, WITH NO EXTRA CHARGE. - Get your laundry delivered or done quick and easy. FREE collection and delivery, Served to your doorstep. - Factory direct prices. SAVE 30%! - Different prices to meet diverse demands. - Available both offline and online, 6 days a week, 10am-10pm daily. 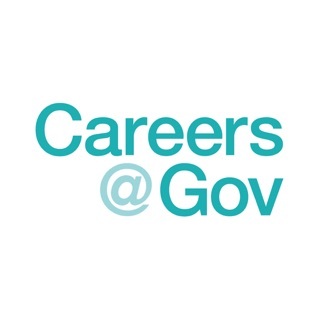 - A dedicated customer service support team. Available 7 days. - We’ll tackle ANY strain, any item and it is absolutely FREE to re-wash per your request. Top up and be rewarded with $! Share and be rewarded with $! I chose your services not just for the pricing, I like the way you treated my shirts, well cleaned, sharp as well as smooth, and I also like your staff's service attitude, always available and respond my request immediately. I definitely will continue using your service! 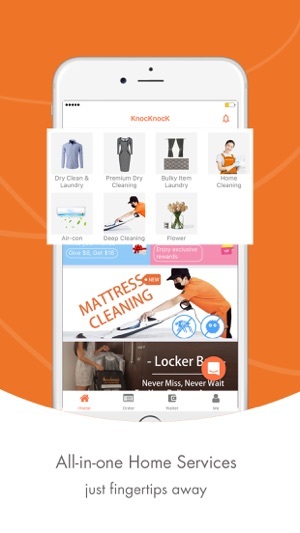 I switched to KnocKnocK because they have competitive prices, they do door to door delivery which is a lot more convenient compared to sending your own laundry even to the nearest laundry shop. The schedule for delivery is flexible too weekdays or weekends. Avoid sending your laundry here, terrible service on every order. Never deliver on delivery date, always a delay of at least one week, sometime several weeks. Custom service is nonexistent, when you inquire about delivery delays they just make excuse, never provide reasonable solution. Sad that their service is so terrible as it's a good idea. Easy to use and efficient way to get my laundry done. Very fast turnaround time also. Recommended! © Knocknock Technologies Asia Pte. Ltd.